2004. 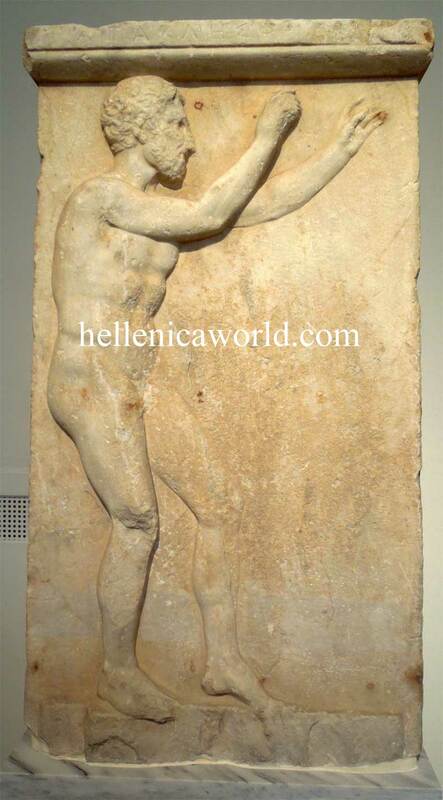 Agakles son of Phrynichos, Grave stele. Pentelic marble. Found southeast of Athens, in the area of the ancient deme of Halimous. Phrynichos is recorded on the band that crowns the stele.